In 2007, Mette decided to turn her passion for jewellery into her profession – designing and creating beautiful, unique and real jewellery. Created was a range of simple and contemporary jewellery with minimal aesthetics. Having lived around the world, working with product design, sourcing and development in the fashion industry – from her native Denmark to pulsating and dynamic Hong Kong, laidback US west coast to vibrant South America, Mette now has her studio in Windsor, United Kingdom. Mette Høj’s unique and contemporary designs follow the sleek minimal aesthetics associated with Danish design – with a twist of exotic elegance. Her inspiration comes from travels around the world, vintage flee market finds, glamorous past eras, such as the twenties flapper and the seventies boho, colonial Far East as well as the rough and windblown nature of Scandinavia. The jewellery is designed with a dynamic and modern woman in mind who uses her jewellery as a daily accessory. Mette aims to create unique, yet practical jewellery for all occasions. To create real jewellery for life at accessible prices – heirlooms to be loved, passed on and worn by every generation. Mette strongly believes that you should build your jewellery wardrobe as thoughtfully as you build your clothes and accessories wardrobe. Statement jewellery can transform an ordinary outfit into something outstanding. Let your jewellery tell a story about who you are. Natural materials are reflected in contemporary styles. 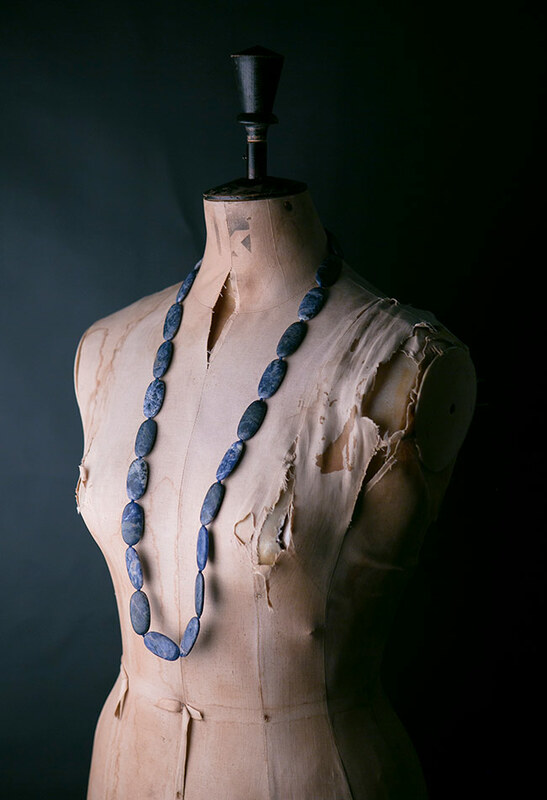 Mette primarily works in natural materials such as stone, jade, turquoise, shell, coral, gold, silver, pearls, leather. A wide range of semi-precious gemstones is used in a variety of cuts and colours. Colours, textures and shapes are brought together to create unique and beautiful jewellery. Many designs are produced in very limited numbers, making each piece truly unique.